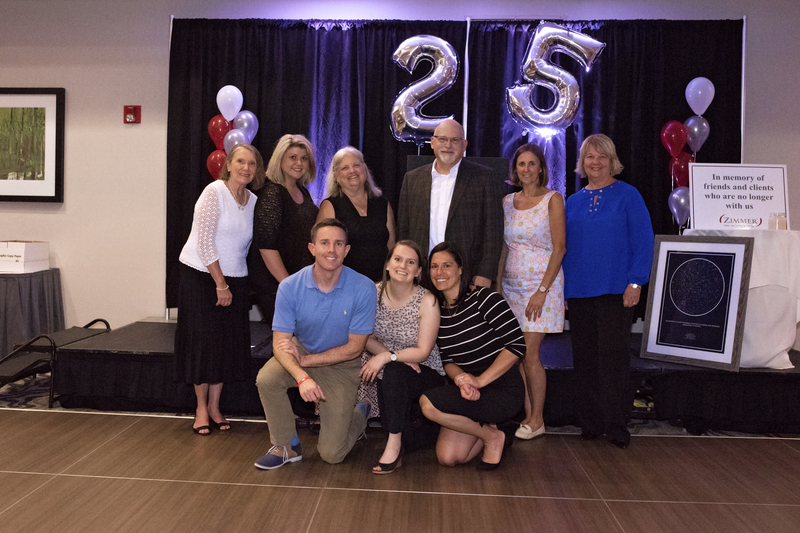 The attorneys and staff of Zimmer Law Firm at the 25th Anniversary Client Appreciation event. Zimmer Law Firm, LLC announced its 25th anniversary as an Estate Planning/Elder Law practice. Barry Zimmer has practiced law since 1979, when he received the degree of Juris Doctor (J.D.) from the University of Cincinnati College of Law. After working for a firm and becoming partner in another, in 1993, Zimmer founded his firm to practice exclusively in estate planning, estate settlement, Medicaid planning, and asset protection. Since then the Zimmer Law Firm, LLC has continuously worked to transform the process of estate planning to a friendly, understandable, and pleasing process for his clients, and to offer the latest planning strategies. Zimmer Law Firm has devoted its practice to estate planning and elder law matters for the past 25 years and has been a charter member of the American Academy of Estate Planning Attorneys (AAEPA) for as long. The Academy delivers the latest education and practice assistance to members so that their clients experience outstanding service and results. Zimmer Law Firm is one of only four firms in Ohio, and the only in the Greater Cincinnati area, to be an Academy Member. The firm has helped thousands of clients meet their estate planning goals and pass on meaningful, well-preserved legacies to their loved ones. Serving on the AAEPA Board of Governors, Education Advisory Board, and Document Language Committee, Zimmer has also held the designation of Academy Fellow™ since 2007 in recognition of his training, experience, and dedication to estate planning. Zimmer is a member of the Cincinnati Bar Association, Ohio State Bar Association, American Bar Association, National Academy of Elder Law Attorneys, and the Ohio Academy of Elder Law Attorneys. He is a Continuing Education presenter for financial professionals and presented at the Ohio State Bar Association’s 2014 Elder Law Institute, and the Cincinnati Bar Association’s Elder Law educational program in 2017. 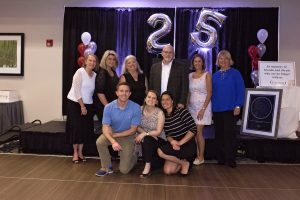 The firm celebrated its 25 year anniversary with a client appreciation dinner in June, featuring music, dancing and door prizes. To learn more about how you can achieve your estate planning goals, please call 513.721.1513 or peruse our website further.